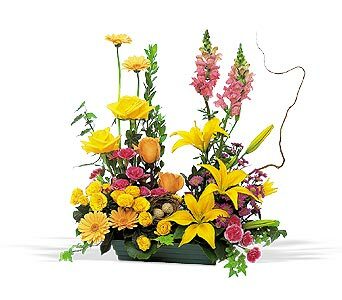 I would like to share some floral arrangement ideas. Even though you can find a myriad of pictures on the web, I need to remind that you need not just materials but imagination, inspiration. And yes, you can make your own masterpiece if you apply yourself to. I loved learning of Constance Spray. She educated the masses and especially empowered women with being creative thorugh discovering the surrounding local environment and gifts of nature to beautify their homes, the original Martha Stewart. 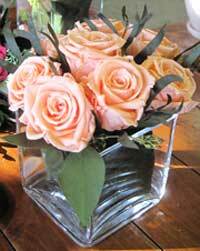 On the right a modern flower arrangement. 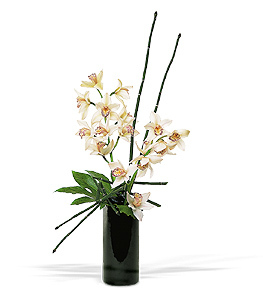 It features a green cymbidium stem inside a cylinder vase. 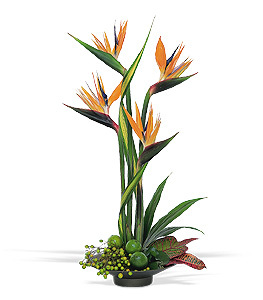 It has been accented with a green colored flat wire that creates a unique effect. At the bottom of the vase I selected a leaf and some rocks. 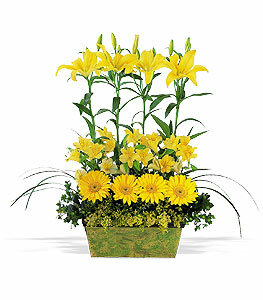 Another example of modern flower design is the grouping of one kind of flower of multiple colors or monochrome. 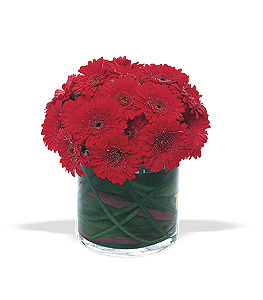 I find the choice of one flower type of design always elegant and easy to create impact for the viewer. I say "Let the roses be roses. 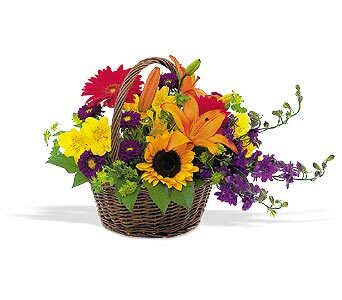 All flowers are magical and a reminder of the wonders of mother nature. 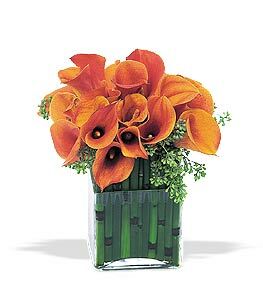 The above callas with bamboo inside the vase is not lucky bamboo. Several visitors have tried to buy it. 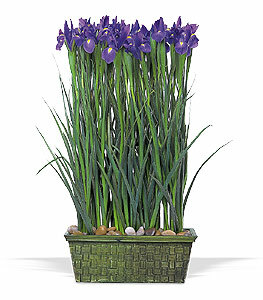 The correct name is Equisetum, which has a brighter green than lucky bamboo.